British food isn’t boring, and these best British restaurants in London prove it. Over the past 60 years, British food has received a, somewhat unfairly, horrendous reputation. Yes, some of our most iconic “national dishes” are famously bland or borrowed from other cultures. But with such a vast melting pot of cultures on offer throughout London, British food (both classic and contemporary) is back on the menu. And with so many outstanding British restaurants operating across the city, it’s gradually becoming more popular than ever. So forget fish and chips, curries of tinned soup and yoghurt, or mince on toast(?) – British food isn’t always boring and these Best British Restaurants in London restaurants prove it. Instrumental in transforming public perception of both nose-to-tail eating, St. JOHN has been a must-visit dining destination since opening in 1994. On the corner of Smithfield meat market, Fergus Henderson’s Michelin-starred restaurant serves a daily-changing menu in a classic, informal setting. Inside, the restaurant is white-washed with church chairs, reminiscent of a Victorian school canteen. As for the menu, a strong focus on offal and lesser-loved cuts of meat is prevalent, alongside some simple fish dishes and classic bakery desserts. 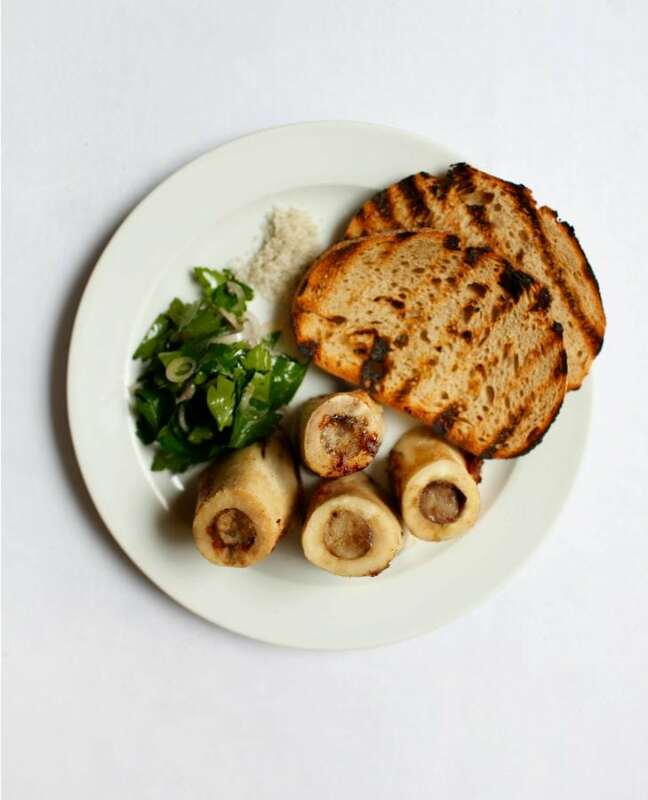 St. JOHN’s Roasted Bone Marrow Salad is the only dish to have constantly remained on the menu since opening. Four centre-cut veal bones (from Smithfield) stand like the Ferrybridge power stations, accompanied by grilled sourdough toast and fresh parsley salad. Guests are encouraged to use their hands and scavenge every last chunk of insalubrious bone marrow – instantly explaining the need for paper table cloths. Further information on St. JOHN can be found at stjohngroup.uk.com. 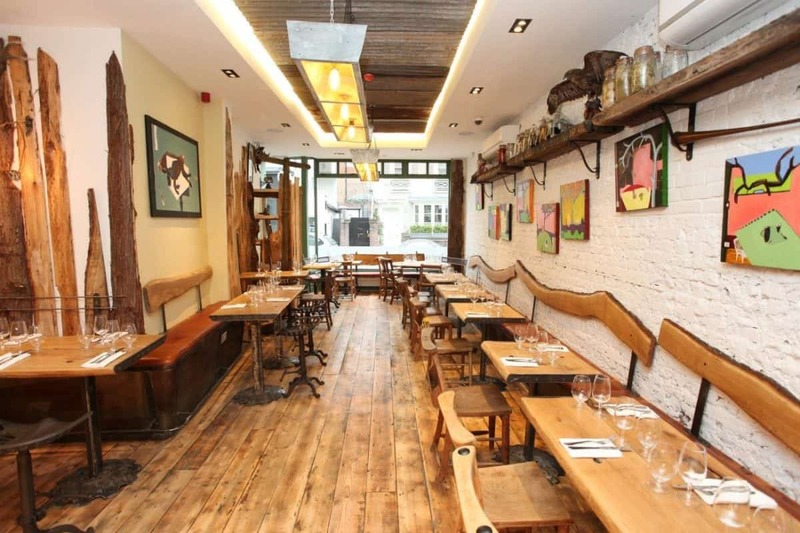 Like the Gladwin Brothers’ other two London restaurants (The Shed and Nutbourne), lunch or dinner at Rabbit on King’s Road hauls guests from the hustle and bustle of the city and into the countryside for a couple of hours. Inside, the space has plenty of rustic charm with rough wood tables, bright paintings and some hunting ephemera, but on visiting during the day it’s the flood of natural light that’s most impressive (especially for Instagram purposes). Appropriately, most of the food served at Rabbit is ‘wild food’, having been either foraged or hunted. Pre-meal ‘mouthfuls’ are irresistible, with the likes of ‘Brown Crab Bomb’ or an éclair piped with mushroom marmite, like a delicious umami profiterole topped with a rich confit egg yolk. Elsewhere, the seasonally changing menu might feature the likes of perfectly-cooked scallops with chicken skin shards and black pudding; or whole game birds. To drink, most of the wine is English, sourced from the family’s vineyard in Nutbourne, Sussex. A glass of ‘Nutty Brut’ is particularly delicious paired with the canapés. Further information on Rabbit can be found at rabbit-restaurant.com. Jason Atherton’s Berners Tavern delivers on exceptional service, ambience and décor, in addition to the food. 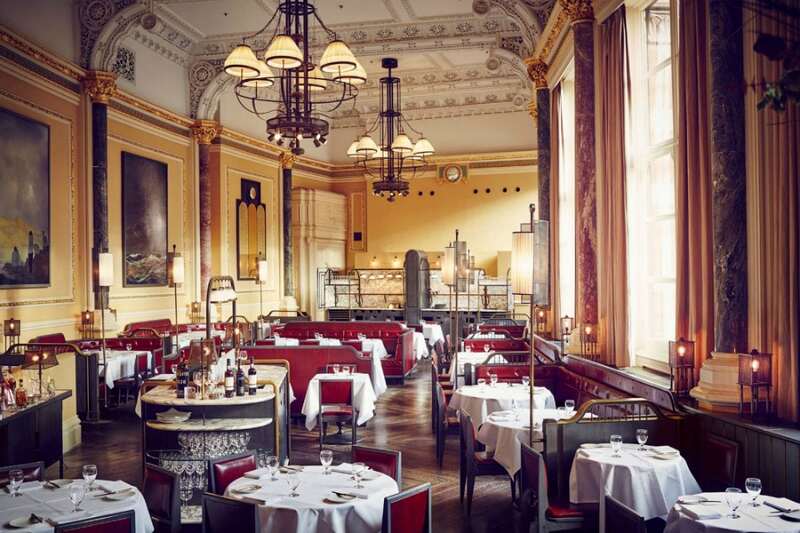 On the ground floor of The London EDITION hotel, the restaurant boasts cavernous ornately plastered ceilings, plus a collection of around 200 paintings. These are all hung in gold baroque frames that look as though borrowed from a 15th century French palace. On the menu, a number of stone-cold British classics are joined by some more adventurous dishes. The most glamorous pork pie in London is elegantly served from a trolley, with mustards and pickled vegetables. Elsewhere, Dover Sole or a selection of steaks are joined by the likes of macaroni cheese garnished with beef that’s slowly braised in red wine, bringing profound decadence. To finish, the Baked Alaska is plenty for two, flamed table-side with lashings of Cognac. 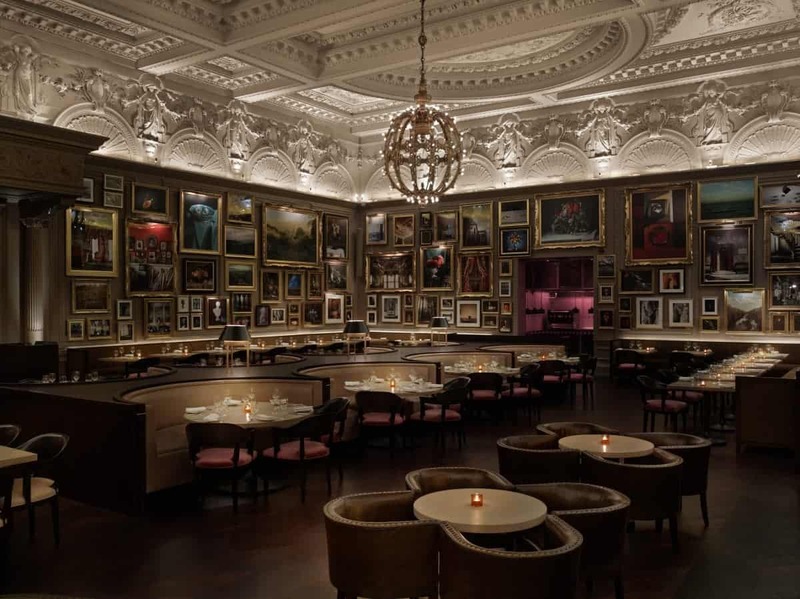 Not merely a welcome retreat from nearby Oxford Street, dinner at Berners Tavern promises a real sense of occasion. Further information on Berners Tavern can be found at bernerstavern.com. 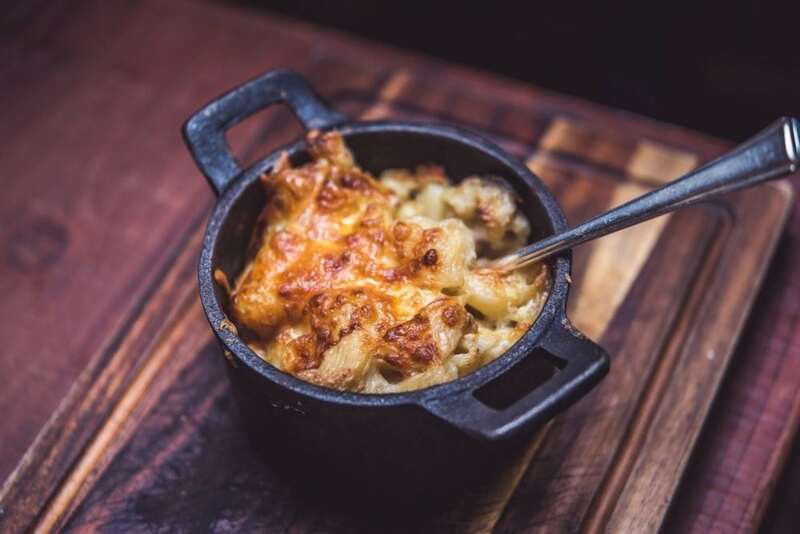 London’s best Scottish restaurant, Mac & Wild focuses on the best game available north of Hadrian’s Wall, and there’s not a kilt or tam o’shanter cap in sight. Starting life as a street food stall (The Wild Game Co.) Mac & Wild is by no means the most vegetarian-friendly restaurant in London, with animal hides and butcher’s hooks hung from the ceiling. All of the meat is sourced from founder Any Waugh’s family’s game butchering business, with sharing cuts of venison chateaubriand acting as the restaurant’s main draw. Elsewhere, the famous Veni-Moo burger comprises both beef and venison patties, while deep-fried haggis pops are ludicrously delicious with the accompanying whisky Jon sauce (whisky, redcurrant jelly and mustard). In true Scottish style, each of the menu’s dishes are also accompanied by suggested whisky pairings. Further information on Mac & Wild can be found at macandwild.com. 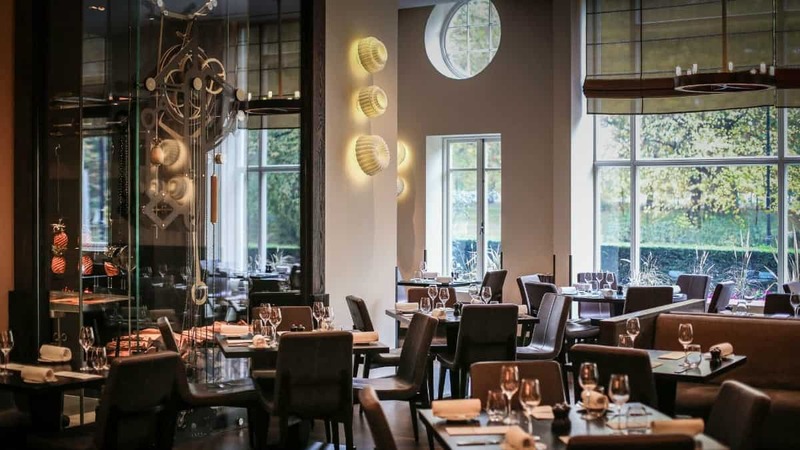 The chef’s only London, Dinner by Heston Blumenthal was launched in 2011 following the success of the TV programme Heston’s Feasts. Developed under the watchful eye of Chef Director Ashley Palmer-Watts, having previously worked as Head Chef at The Fat Duck in Bray, Dinner by Heston Blumenthal currently holds two Michelin stars and is situated within The Mandarin Oriental, Knightsbridge. With delightful views across Hyde Park, the menu is deeply rooted in historical British dishes, revived with a modern touch. ‘Meat Fruit’, for instance, reworks a Middle Ages classic that disguised ingredients to create a notion of theatre. Mounds of minced pork would typically masquerade as golden apples. Here, a sphere of chicken liver parfait is encased with a layer of mandarin jelly to resemble a dimpled mandarin. Elsewhere, ‘Tipsy Cake’ was a popular Victorian dessert, served here as a sweet tear-and-share brioche with hunks of boozy spit-roasted pineapple. Alongside the a la carte menu, the set-lunch menu (3 courses £40) offers a two Michelin-star experience at EasyJet value. Further information on Dinner by Heston Blumenthal can be found at dinnerbyheston.com. The middle ground between Marcus Wareing’s two Michelin-starred eponymous restaurant in Knightsbridge and accessible Tredwells, The Gilbert Scott operates from one of London’s most attractive dining halls. On the ground-floor of the Renaissance Hotel in St. Pancras Station, The Gilbert Scott focuses on a serving a menu that seems perfectly matched with the staunch British setting. Luxurious marble columns stretch from the parquet flooring to the ridiculously high ceilings. Oxblood leather blanquettes are cosy, and natural light floods the room from the windows placed higher than seating level. Like all of Marcus’ restaurants, the menu gives nothing away – changing seasonally with each dish described as a string of key ingredients. Expect dishes such as ‘Dorset crab, nectarine, cucumber, sesame’; or ‘wild sea bass, Datterini tomato, stracciatella, lemon, shiso’. Arrive at least 15 minutes early as the hotel is near impossible to find, when entering from St. Pancras station. Further information on The Gilbert Scott can be found at thegilbertscott.com.